I was invited to this by Dr. Kim Lansdowne, Executive Director, of HYSA and I knew this would be great fun the moment I saw the flyer she shared with me. In particular what stood out was the quote at the top of the flyer. 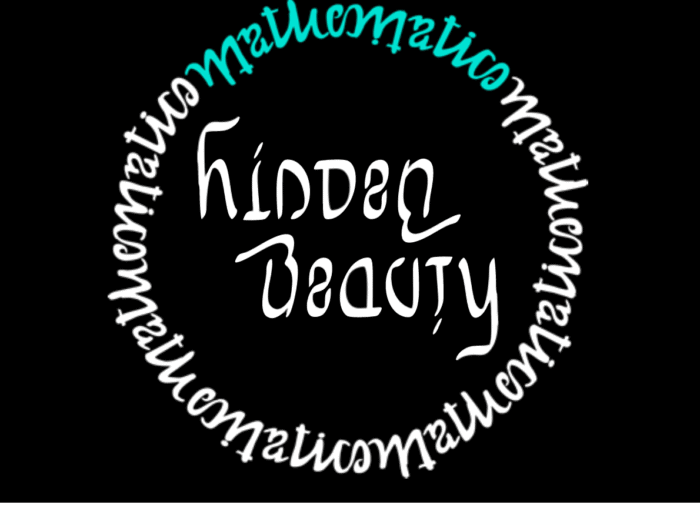 For my session, I chose to share with them the work I have done in the area of visual wordplay, specifically its connection to mathematics. I created (actually re-created/revised) some activities I had designed years ago and designed a session that were little segments of my sharing some designs and ideas and then having them play and experiment. The students were awesome, engaged and willing to play. Here are the slides I shared with them and some designs they created. Figure1: A collage of images from the session – most which are designs the kids came up with.